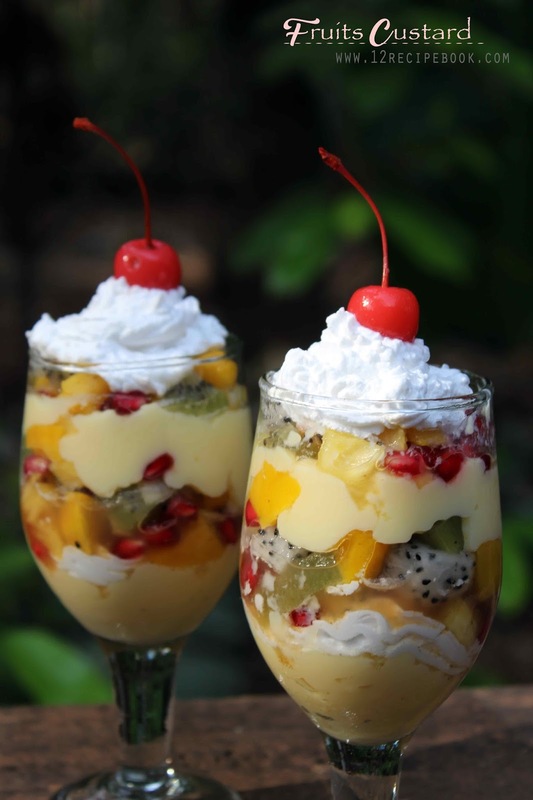 Custard topped with fruits are one of the easiest desert idea and it tastes too delicious also. The simple and delicious pudding comes together with just few ingredients and little bit of stirring. Boil milk in a sauce pan by adding sugar. Mix custard powder with little chilled milk (about 3 tbsp)and dilute well without any lumps. Add it in to the boiling milk and stir continuously. Cook for about 4-5 minutes or until thickens. Allow the custard cools down completely and chill for about 10 minutes. Mix chopped fruits with sugar syrup, chaat masala and lemon juice. 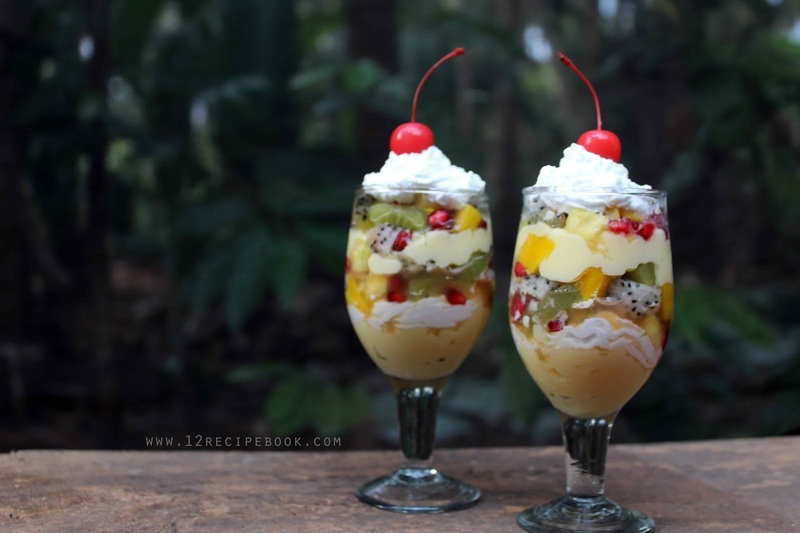 In two serving glasses add half of the prepared custard as a layer. Top it with a line of whip cream. Then layer it with chopped fruits followed by remaining custard and chopped fruits. Lastly garnish with whip cream and cherries.